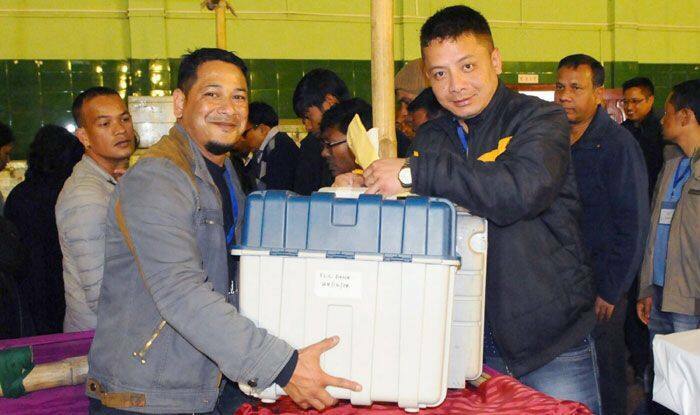 Along with the Lok Sabha polls, assembly polls will also be held simultaneously for the 60-member Arunachal Pradesh Assembly and the 32-member Sikkim Assembly on Thursday. A total of 14 parliamentary constituencies out of 25 in India’s eight northeastern states will vote in the first phase of Lok Sabha polls, along with 77 in the rest of the country, on Thursday. The 14 Lok Sabha constituencies that are going to polls on Thursday include five – Tezpur, Kaliabar, Jorhat, Dibrugarh and Lakhimpur – in Assam, as well as both constituencies of Arunachal Pradesh (Arunachal West and Arunachal East) and Meghalaya (Shillong and Tura) and the lone seats of Mizoram, Nagaland and Sikkim. The other two are one each of Manipur and Tripura’s two parliamentary constituencies – Outer Manipur and Tripura West, respectively. Data from the office of the Chief Electoral Officers in the eight states said that a total of 146 candidates are in the fray – 41 candidates for the five constituencies in Assam, 31 candidates for the two seats in Arunachal Pradesh, 26 for the two seats in Meghalaya, 18 candidates for one seat in Tripura, eight candidates in Manipur, 12 candidates in Sikkim, six candidates in Mizoram and four candidates in Nagaland.